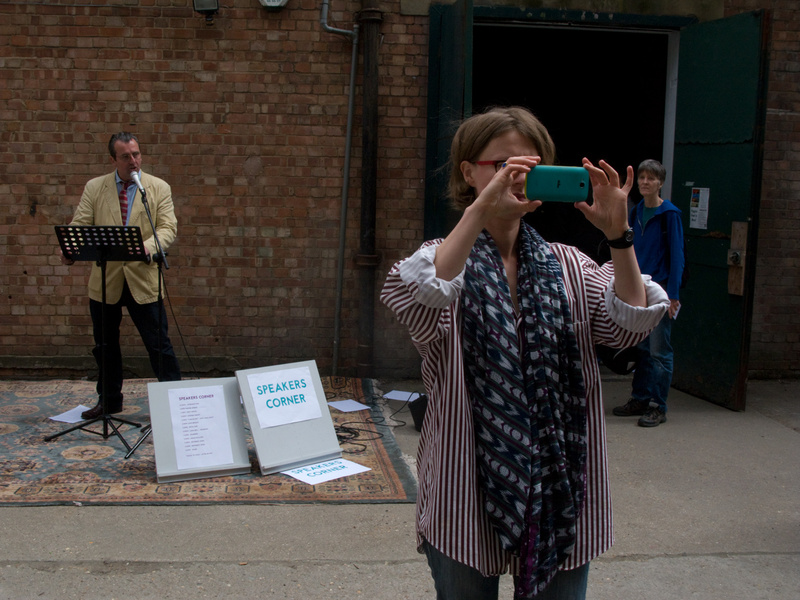 Thanks to Chris Dorley-Brown for sending through this great photo from my gig at Takeover 2015, the London Radical Bookfair, on Saturday 9 May. 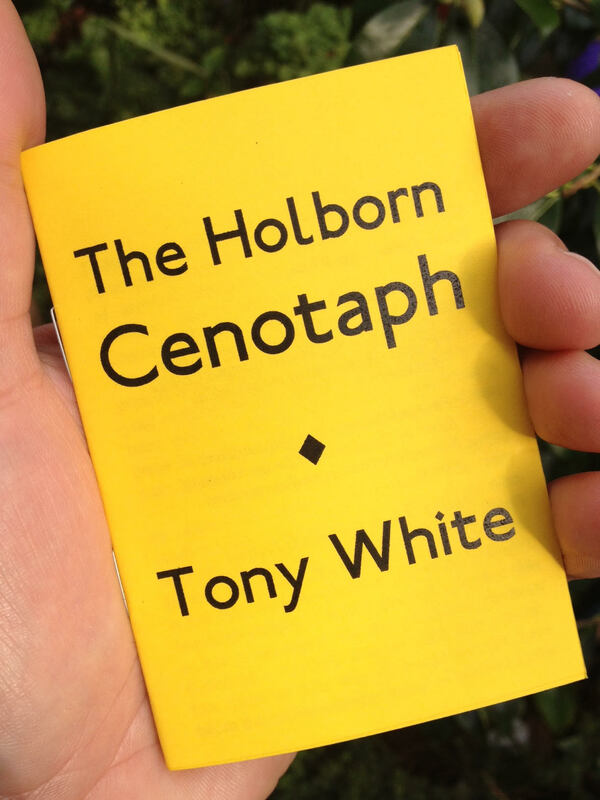 I was reading my short story The Holborn Cenotaph—channelling Swift, the story is a Juvenalian satire—and was as always very pleased and surprised by the response to my ‘modest proposal’. Plenty of people came to chat afterwards and to get their free copies of the small edition of the story text that was produced to give away at recent gigs with Stuart Brisley et al in the chapel at King’s College London and at The MAC in Belfast, and whenever else I read from the story, at least while stocks last. Takeover 2015 was a useful and positive day, so thank you to all at London Radical Bookfair, the Alliance of Radical Booksellers, Vicky who put the Speakers’ Corner programme together, and Nik at Housmans. I hope to do more readings of The Holborn Cenotaph in the coming weeks and months. Check back on my events page for listings or sign up for my occasional newsletter for news of gigs and invites to book launches etc. Read more about The Holborn Cenotaph here, here and here. * P.S. She may not actually be taking a selfie.